Atelier Absolute Large Luxury Memory Foam Bath Mat Just $8.99 Down From $49.99 At GearXS! Ships FREE! 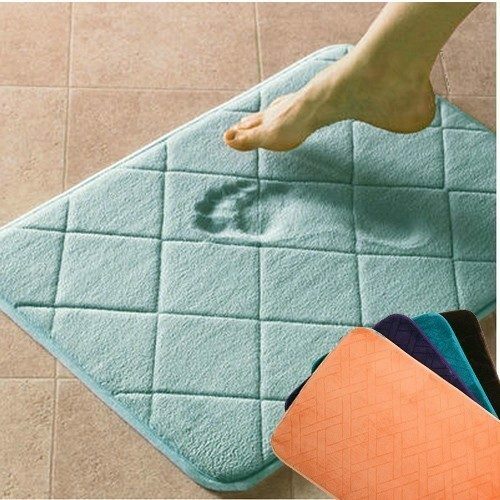 You are here: Home / Great Deals / Atelier Absolute Large Luxury Memory Foam Bath Mat Just $8.99 Down From $49.99 At GearXS! Ships FREE! GearXS has this Atelier Absolute Large Luxury Memory Foam Bath Mat on sale for $8.99 (Reg. $49.99) + FREE shipping! Give your feet a luxuriously soft treat! This Atelier Memory Foam Bath Mat contains soft touch fabric that absorbs water quickly. It is 20×30″, and 100% polyester. Perfect for use outside of the tub!